The Hauler is Zorgon Peterson's low level entry in the freighter market and has been a big success. A large cargo capacity (for its size), cheap purchase price and low running costs have made these the most popular small cargo ships in human space. The Hauler is a light freighter that was designed to give pilots a ship with a sizeable cargo hold for a relatively low price. It is not a combat ship however; it is slow for its size, poorly armoured and shielded, and features only a single small weapon hardpoint. The Hauler is the true start point of most traders' careers; it is the first step up from the Sidewinder that is not a pure combat ship, and is well suited to the trading of rare commodities. 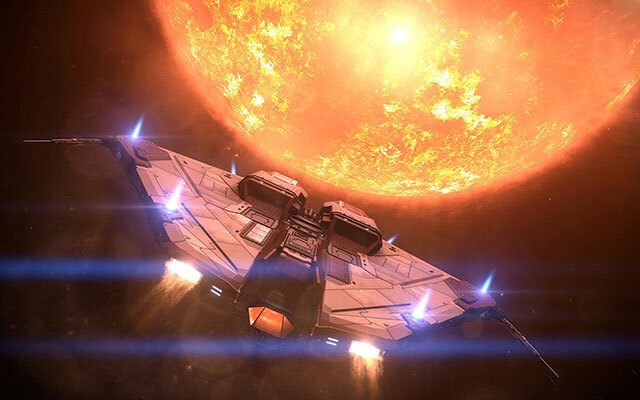 This craft is also good for exploration; with its relatively long jump range when geared for exploring (28.55LY), not only is it affordable for early explorers, but many explorers actively prefer it even when they can afford a more expensive craft. Low overhead in terms of purchase price, outfitting, fuel, maintenance, and even insurance, means high profit. If used correctly, this ship can allow new pilots to turn a large profit quickly.